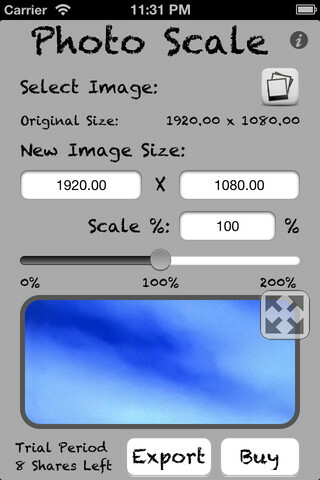 Resize your photos right on your iOS device. "Does exactly what it should do and does it perfect! Pixel Precise sizing for my photos. ... Conclusion: If you must adjust your photos to a specific pixel size, this is THE BEST!" Meet website image upload size constants without the use of a computer. "Immediately after using two free exports I bought the upgrade without hesitation. This app is one of the few apps where images can be both decreased and enlarged. I achieved a staggering 8192x5460 results here. This is unique!" Free trial includes 10 free exports, unlimited use of app is available though in-app purchase of the upgrade. Try it today.